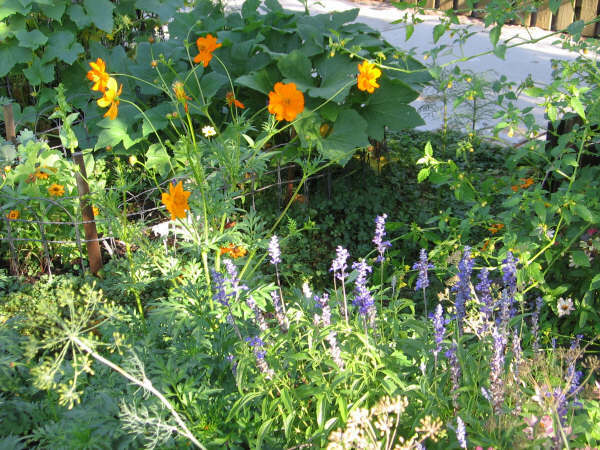 My thoughts today are focused on increasing my herbal gardening. 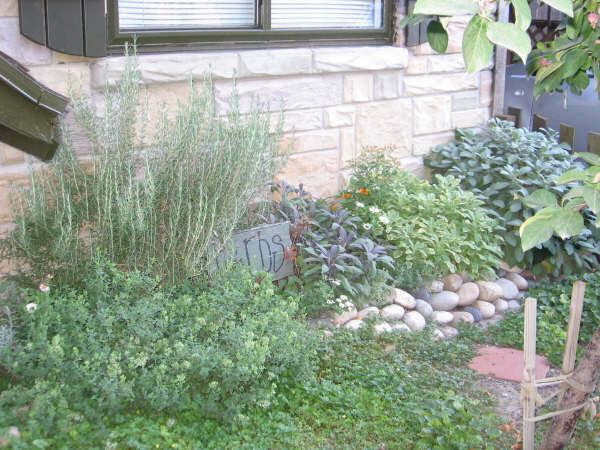 I’ve shown my small patches of herbs in the past. I’m ready to think about putting out more. Believe it or not, we do have four seasons in Hawai`i. The change is subtle, but residents can feel when the season is changing. The elevation of my home is about 2300 feet, so while I do not get freezing weather, I do get temperatures into the low 50s (and a rare high 40s). It feels like perpetual spring here. That’s when the ancient genes in our biological clock tell us it’s a good time to plant. 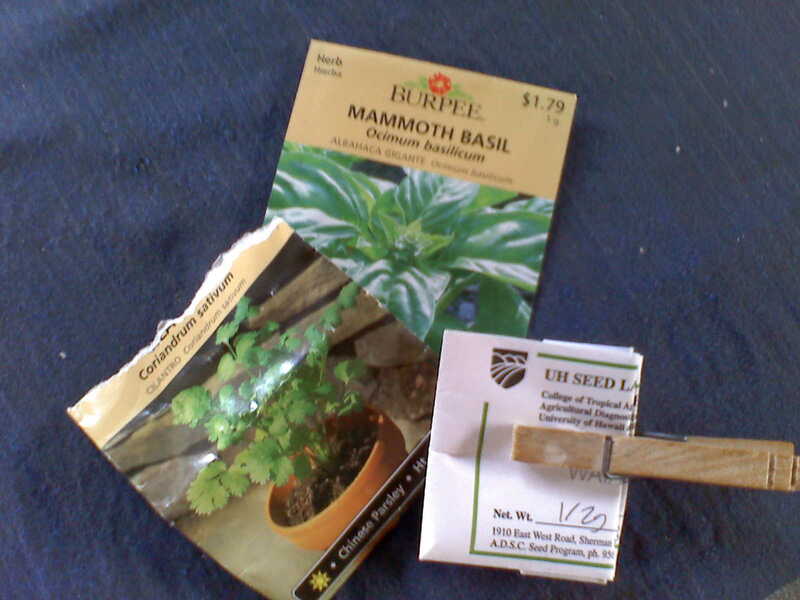 So even now, as we come toward the end of August, I want to put out seeds. 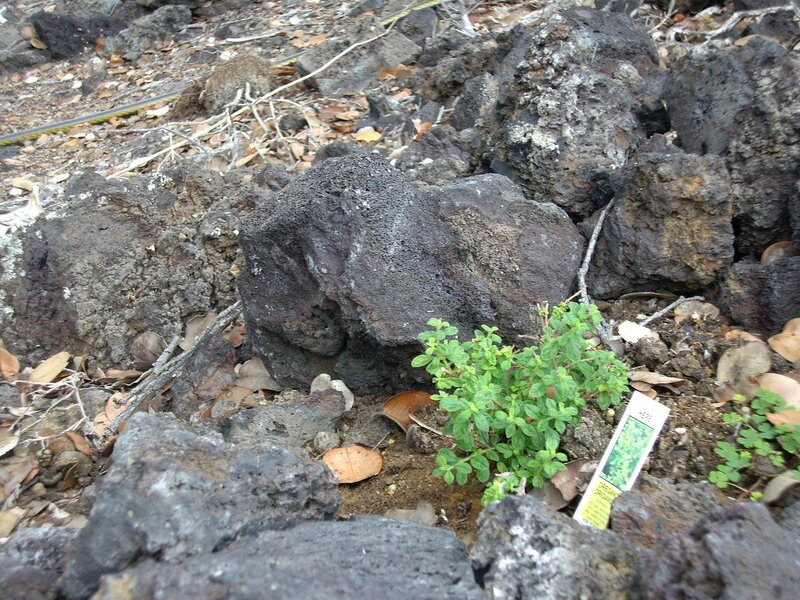 Winter rains are yet to come, and I have packets of seeds ready to put into little pockets I’ve created with rich soil among the lava rocks. What is the value of any culinary journey without herbs? Some recipes specifically call for dried herbs, but for many of the dishes, only a sprig that has been picked fresh will suffice. When I make one of my gargantuan salads (they are actually a full meal), I finish it off with a trip to my herb garden. One community where my father was a pastor when I was a child was made up of a large Italian population. It was a requirement to learn how to make authentic dishes. Fresh oregano was (and is) an essential. 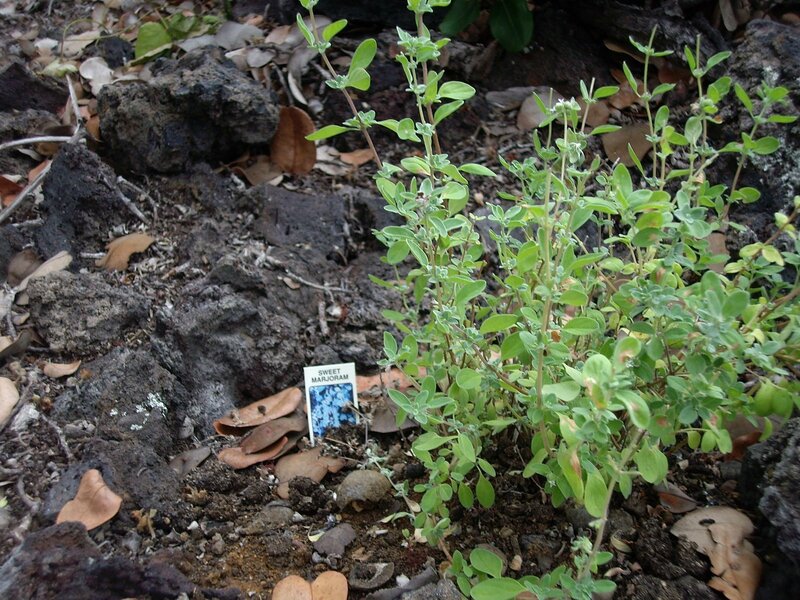 This wee patch of oregano is trying very hard to grow up. If you haven’t tried a fresh tomato-and-basil sandwich made with rich homemade whole wheat bread, you’re missing a taste treat! Pile on lots of basil leaves (use extra large leaves) with thick slices of tomato. Slather a bit of olive oil on the bread and add a slab of mozzarella or other cheese for an extra delight. Make sure you put a piece of basil on my chest when you bury me so I can get into Paradise. No garden is complete without parsley. I’m one of those odd people who actually eats all the decorative parsley on my plate in restaurants. A sprinkle of chopped parsley on top of any dish adds color and nutrition. 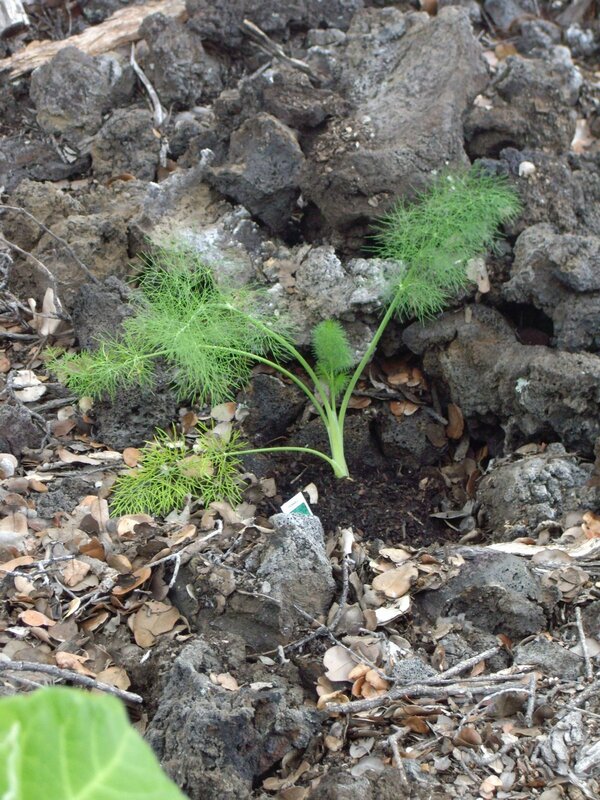 I had never grown fennel before, although I love the flavor. 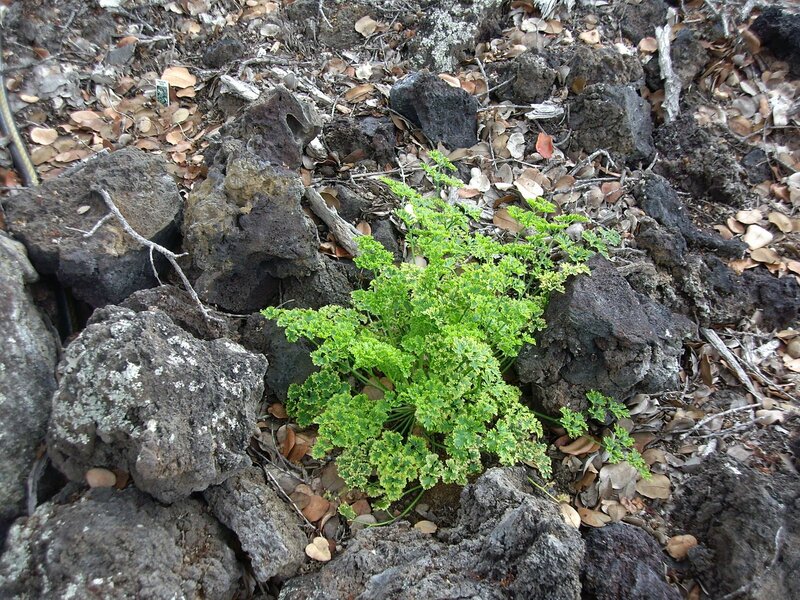 It is considered both an herb and a vegetable. I have had roasted fennel bulbs in the Middle East and loved it. If you have a spot where the bulbs can grow to a nice size, you should try it. 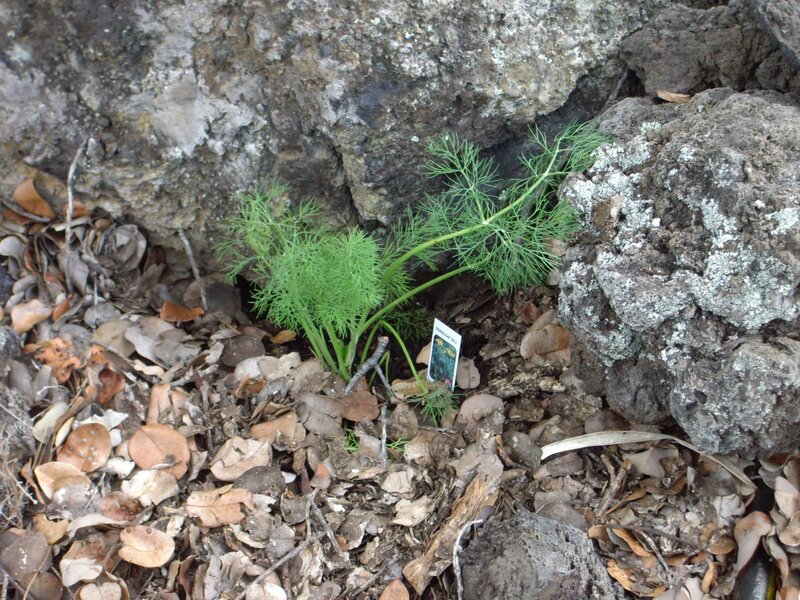 Like most of my herbs, my fennel struggles, but continues to send out new shoots. I grew up thinking dill was for pickles only. Try a little dill leaves or seeds in your tuna salad for a new flavor. My daughter Inga always has lush herbs growing. I’m envious of her ability to make anything grow out of nothing, but she has the soil to help her out. You will be seeing more of Inga’s garden and her compost in the future. That’s part of her herb garden at the top of this post, in case you didn’t read her sign. Sweet marjoram is another of those herbs that I’d never grown, but always bought in a glass jar to sprinkle into salads, soups and Italian fare. This is one herb I’ve grown to appreciate. 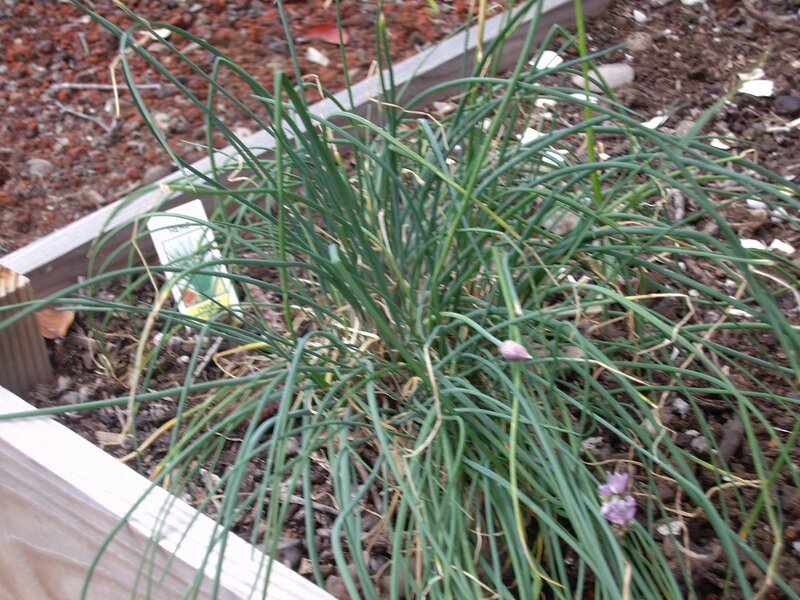 What fun it is to go out my front door and snip off chives for omelets made with eggs from my own chickens. These are looking a little bedraggled from the sulfur dioxide, but with a good soapy rinse, they still taste good. 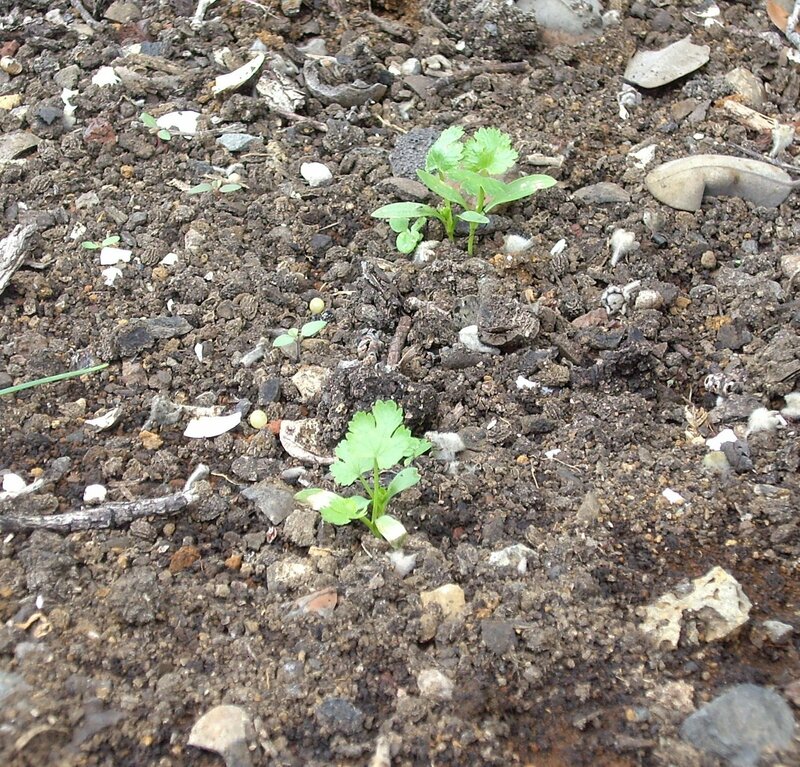 My last beautiful cilantro plant finally bolted on me and it went into the compost. I’ve planted more and they are just starting to come up. My love for anything Mexican dictates that I grow plenty of cilantro. My friend who does viticulture gave me a plant of calendula that is surviving quite nicely, but I didn’t get a picture of that. I’ll show it later, I’m sure. My mint made her debut in one of my recent posts, so I didn’t include her here this time. If you want to know more about the many wonderful herbs, I highly recommend A Modern Herbal written by Margaret Grieve in the early 1930s. Or you can to go the web to read it as well. She gives folklore, recipes, growing instructions, and all sorts of herbal trivia. 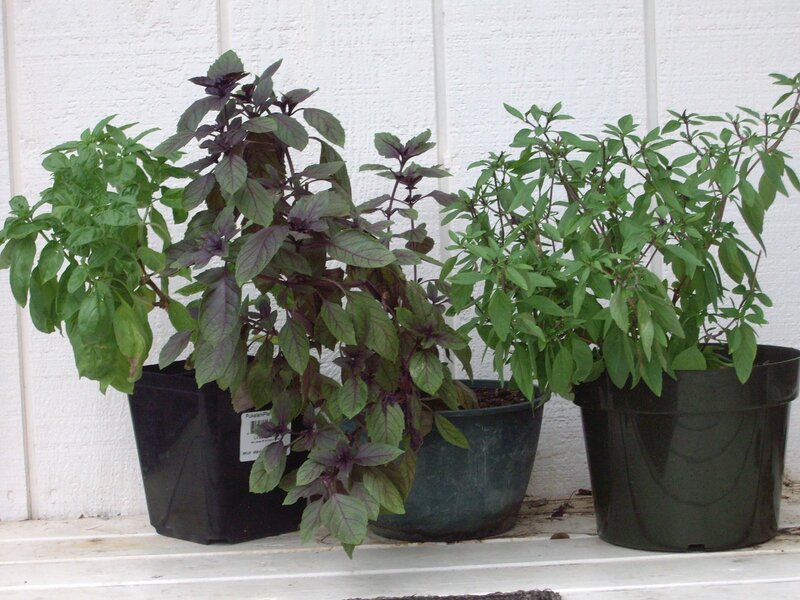 As you can see, I’ve left out hundreds more herbs I could have mentioned. My own bookshelves are full of books on herbs and their properties. We know that herbs are used for more than food. They provide healing, fragrance, teas, and so much more. The Herb Research Foundation is an organization devoted to “improving world health and well being through herbs.” Rather than rely on folklore, this organization is scientifically investigating the healing properties of various herbs. It is too easy to get lost in the labyrinth of the world wide web, so I’ll stop here and go plant my seeds.